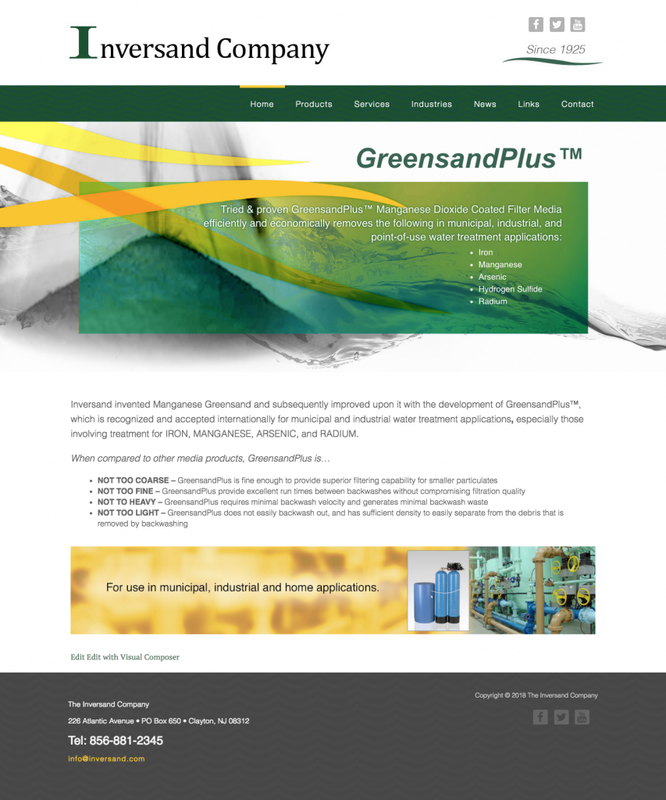 Inversand Company, recognized internationally for its highly reliable and reasonably priced GreensandPlus™ filtration media products, has launched a new website which features a responsive design that is easy to view on desktop computers and mobile devices such as smart phones and tablets. The all new website features a clean, attractive design and user-friendly navigation enabling users to access products and related services information with a few simple clicks. Available tabs provide information about the company, latest news, technical product data, testing services, industries served/product applications, technical articles and a visual presentation relative to Inversand’s ability to evaluate and solve customer problems. Also, quote request and contact forms are easily located on every page to promote anytime user interaction, and a list of distributors in the US and Internationally round out what is both an engaging and functional design.